Don't Miss Out – Into the Woods Night Trail 2016 | JustRunLah! Big shout out to all trail lovers and adrenaline junkies! Clear your 1st October because you won’t want to miss this! Compressport Malaysia is bringing to the trail running community the Into The Woods Night Trail 2016! It’s going to be legend-wait for it-ary! Compressport will whisk runners away to Semenyih for an adventurous 13km night trail run. 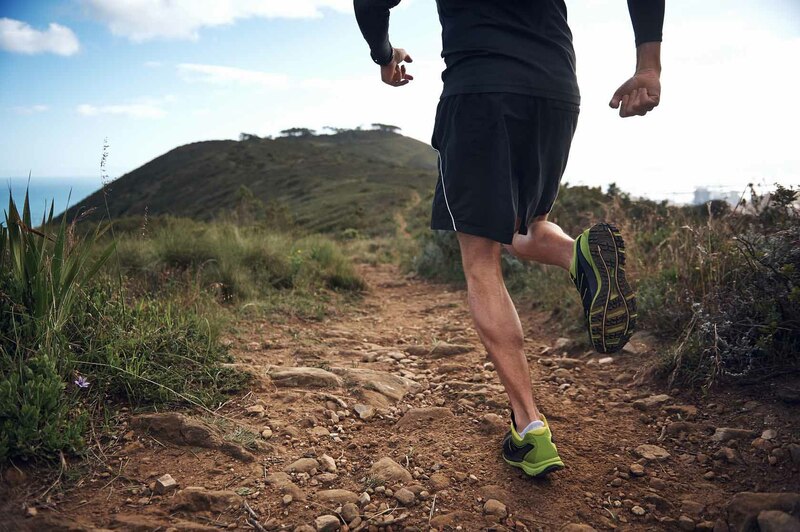 Compressport is stepping up their game and bringing to the trail running community arguably what’s going to be the best night trail run in town! The night will start young. Compressport will showcase a Mini Compressport Carnival to bring runners an unforgettable night! The aim is not just to make the run itself spectacular, but also to make the pre-race and post-race experience extraordinary. Come celebrate your victorious finish with fun, games and even a live concert! They really are setting the standards high for this event. Adrenaline junkies, are you ready? Running down trails at lightning speed – sure that sounds fun, but running down the technical trails in the dark is going to add an additional super exciting element to it. It’s going to get your heart pumping and pulse racing. 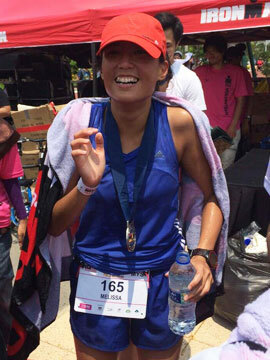 This race will definitely give you that overwhelming sense of accomplishment the moment you cross the finishing line! Let’s admit it, we are all suckers for great discounts! Enjoy discounts on calf sleeves, headbands, trail socks, arm sleeves, and headlamps when you register for this epic ‘Into the Woods Night Trail Run’. A good headlamp can make or break your experience in the trails! You don’t want to end up with a broken headlamp, in the dark, alone (speaking from experience, mind you). 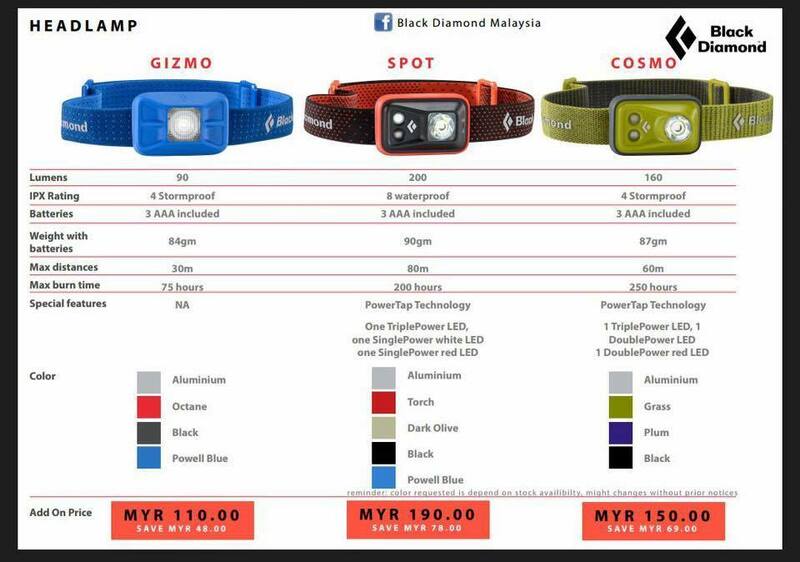 Seize the opportunity and get yourself a Black Diamond headlamp at a great price. Look at the medal and shirt! TAKE MY MONEY! 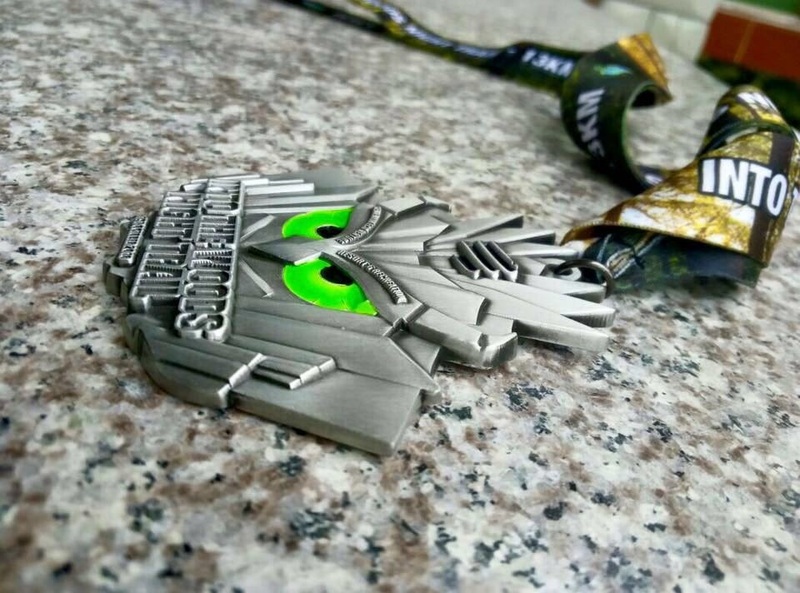 If you are a true medal collector, you definitely need this beautiful piece as part of your collection. It glows in the dark. C’mon admit it, you want it too. The shirt glows in the dark too. Not only is the shirt special, it is also practical. It can be your regular shirt to wear whenever you go out on night runs! Every runner needs one of these! Great news for JustRunLah! readers! Enjoy MYR 5 OFF your registration. This discount is limited to the first 100 users. What are you waiting for? Use the discount code itw16fiveoff and register now! Discount code is valid until 30th August 11.59pm. Mel, you seemed to have forgotten to mention that this is a discrimination event for Malaysians ONLY. I would have joined but apparently I am from the wrong place in this world. Hi James, we have confirmed with the race organiser that this is not true and participation requirements have been revised. The event welcomes participants of any nationality.